In tribute to a recently passed master, Strickland and Twi-Life kicked off with a Roy Hargrove cover, where the boom-bap from Charles Haynes on the drum kit and Mitch Henry’s electric organ, deeply indebted to 1970s jazz-funk and fusion, were brought down to a cool simmer by Strickland’s saxophone. 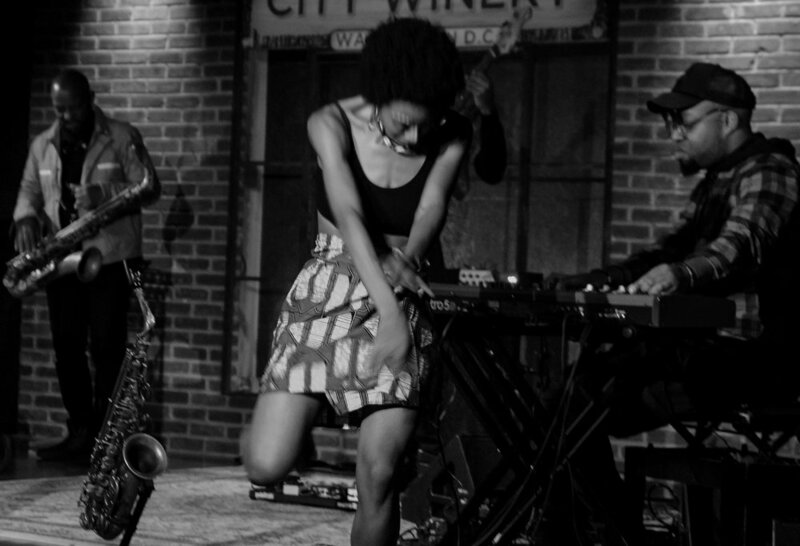 Much of the set at the City Winery drew from People of the Sun and Twi-Life’s 2016 record Nihil Novi, produced by Meshell Ndegeocello. While Strickland is the clear bandleader and a powerful force on alto and tenor saxophone, he allows his rhythm section to shine. In one track accompanied by dancer Kemba, Strickland restrained himself to some Garbarek-like fluttering above the powerful groove from the aggressive drumming and keyboard. While the percussion threatened to overpower the mix at some of the quieter movements, when Strickland kicked out extended solos in “Timing” they more than held up, opening into an extended interplay of keyboards and the rhythm section deeply rooted in 1970s soul and funk. 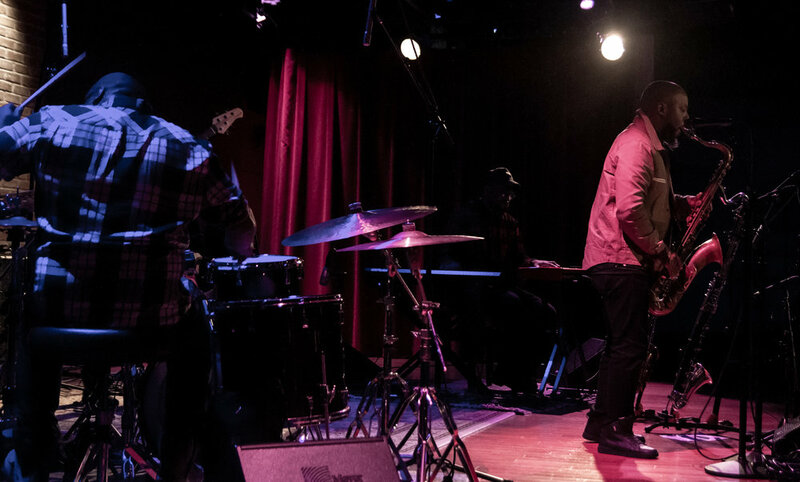 Strickland mostly played tenor saxophone but switched to bass clarinet for “On My Mind,” accompanied by recorded rapping by Bilal, with whom he recorded the record. “Relentlessness” from People of the Sun shimmered with uneasy energy, while “Sissoku’s Voyage” from Nihil Novi relied on a sampled chant from a Malian griot, in which the bass and percussion recreate the chattering polyrhythms of West African talking drums while the sax floats serenely above the fray. Strickland made the connections between Africa and America most explicit in tracks like “Mirrors,” which pulls on James Brown and Fela Kuti as influences. “Mirrors” had the wild rhythmic drive of Afrobeat but toned down the fervent skronk of Fela’s saxophone or James Brown’s guttural howls, mimicking the call and response of Nigerian music without the vocal chants through lively dialogue between the sax and electric organ. Opener Akua Allrich sang East African-styled vocal jazz, accompanied by her own percussion and upright bassist Kris Funn, enlivened by dance from Kemba on their final track.